Nissan and Ecotricity have called on the Government to introduce official road signs for the UK’s network of standard and rapid EV charging points. 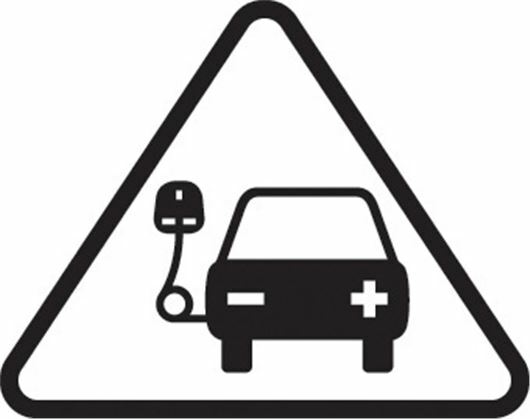 Although there are more than 9,000 EV charging points nationwide, there is still no official, recognisable signage available to direct drivers to them. Nissan and Ecotricity claim the time is right for the Government to take action and raise awareness of the UK’s EV infrastructure by introducing universal symbols that can be used to designate the different types of EV charging points available on Britain’s roads, notably standard and rapid chargers. Ecotricity founder Dale Vince added: “Both the cars and the infrastructure are in place to support the electric car revolution in Britain – there are Electric Highway pumps at almost every motorway services, while companies like Nissan are developing top quality electric cars. Nissan has sold more than 11,500 all electric Nissan LEAFs since the vehicle was launched in the UK, awith more than 12,000 plug-in vehicles in total registered in the UK in the last financial year.